Actually.. yesterday I made two things I’ve pinned! This cutey felt hair acessory to match Phoebe’s day-after-Halloween outfit (I think she has now worn all 5 of her handed down Halloween tops!) is from craftiness is not optional, here. 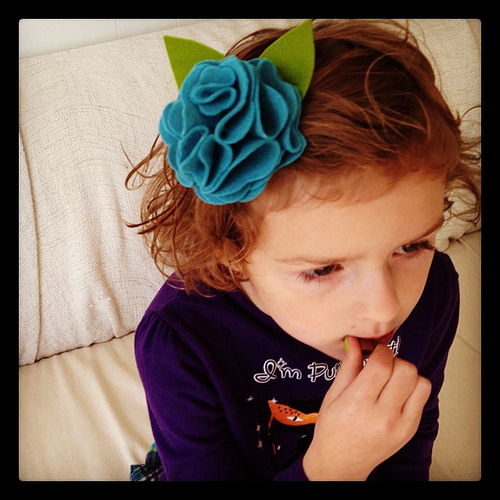 I think I’ll make that rolled felt flower too, so cute and easy. And I made these cupcakes for Oscar’s class. From BHG, here. I love that hair clip. I’m going to add that to my list of project ideas. Love it all. 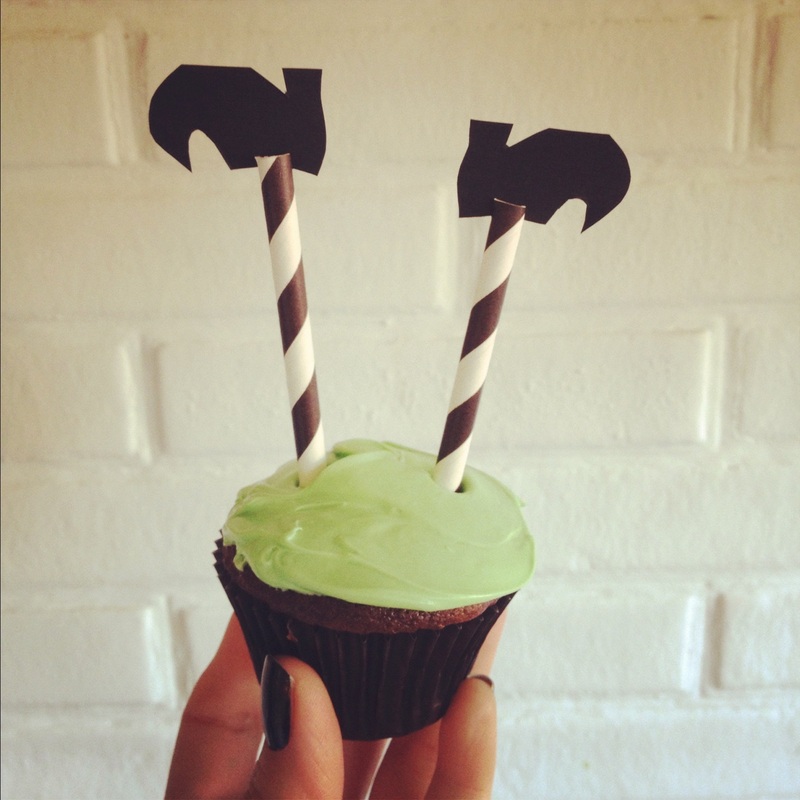 Those cupcake toppers are too cute! 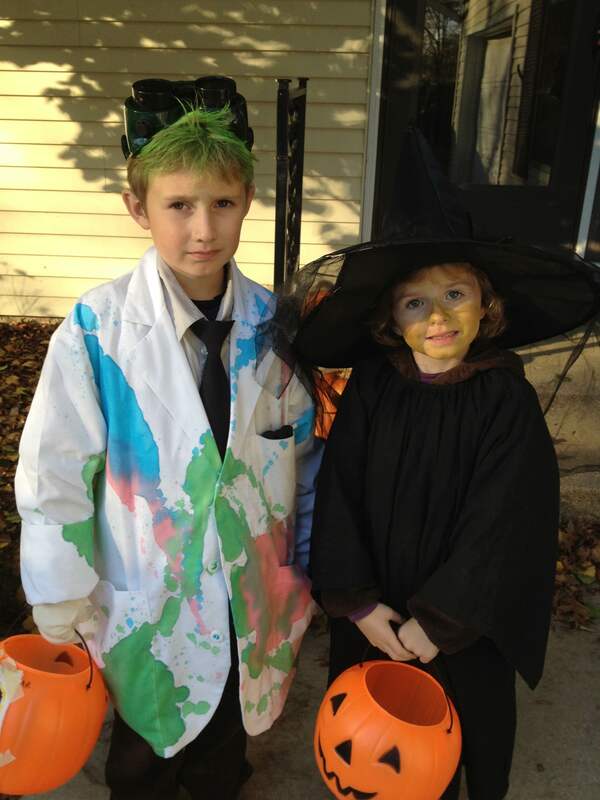 That mad scientist costume is awesome, and that hair clip is too cute! Your kids are adorable in those costumes!! Ack – pinned the cupcakes, but never made them. There’s always next year I guess! If you’re like me, looking at ideas is almost as good as making them! I love the sketch of the witch costume! Beautiful hairclip! I like the blue colour!